Avoid breathing dust/ fume/ gas/ mist/ Vapors/ spray. Wear eye protection/ face protection. IF INHALED: Remove victim to fresh air and keep at rest in a position comfortable for breathing. Call a POISON CENTER or doctor/ physician if you feel unwell. If eye irritation persists: Get medical advice/ attention. Use personal protective equipment. Avoid dust formation. Avoid breathing Vapors, mist or gas. Ensure adequate ventilation. Evacuate personnel to safe areas. Avoid breathing dust. Pick up and arrange disposal without creating dust. Sweep up and shovel. Keep in suitable, closed containers for disposal. Avoid contact with skin and eyes. Avoid formation of dust and aerosols. Further processing of solid materials may result in the formation of combustible dusts. The potential for combustible dust formation should be taken into consideration before additional processing occurs. Provide appropriate exhaust ventilation at places where dust is formed. For precautions see section 2. Keep container tightly closed in a dry and well-ventilated place. Handle and store under inert gas. Safety glasses with side-shields conforming to EN166 Use equipment for eye protection tested and approved under appropriate government standards such as NIOSH (US) or EN 166(EU). impervious clothing, The type of protective equipment must be selected according to the concentration and amount of the dangerous substance at the specific workplace. For nuisance exposures use type P95 (US) or type P1 (EU EN 143) particle respirator.For higher level protection use type OV/AG/P99 (US) or type ABEK-P2 (EU EN 143) respirator cartridges. Use respirators and components tested and approved under appropriate government standards such as NIOSH (US) or CEN (EU). Strong oxidizing agents, Sulphur compounds, Strong bases, Halogens, Do not store near acids. Tumorigenic:Equivocal tumorigenic agent by RTECS criteria. Tumorigenic:Tumors at site or application. carcinogen or potential carcinogen by ACGIH. Tin Silver Copper nanoparticles are a lead-free solder material for electrical interconnects and surface-mount technology assembly. American Elements produces to many standard grades when applicable, including Mil Spec (military grade); ACS, Reagent and Technical Grade; Food, Agricultural and Pharmaceutical Grade; Optical Grade, USP and EP/BP (European Pharmacopoeia/British Pharmacopoeia) and follows applicable ASTM testing standards. Typical and custom packaging is available. Additional technical, research and safety (MSDS) information is available. Please request a quote above for more information on lead time and pricing. See more Copper products. Copper (atomic symbol: Cu, atomic number: 29) is a Block D, Group 11, Period 4 element with an atomic weight of 63.546. 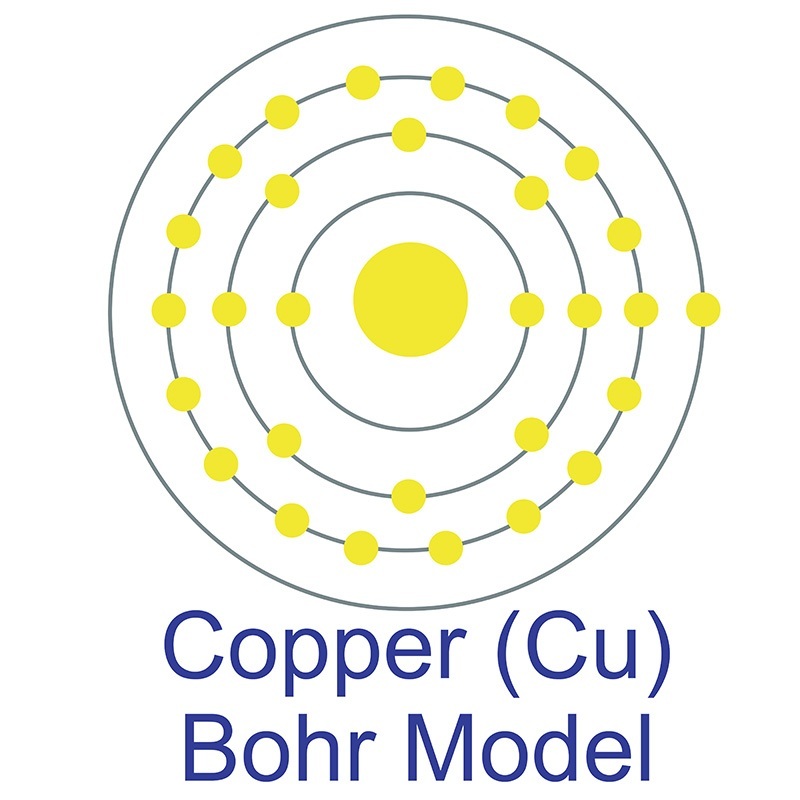 The number of electrons in each of copper's shells is 2, 8, 18, 1 and its electron configuration is [Ar] 3d10 4s1. The copper atom has a radius of 128 pm and a Van der Waals radius of 186 pm. Copper was first discovered by Early Man prior to 9000 BC. In its elemental form, copper has a red-orange metallic luster appearance. Of all pure metals, only silver has a higher electrical conductivity.The origin of the word copper comes from the Latin word 'cuprium' which translates as "metal of Cyprus." Cyprus, a Mediterranean island, was known as an ancient source of mined copper. See more Silver products. Silver (atomic symbol: Ag, atomic number: 47) is a Block D, Group 11, Period 5 element with an atomic weight of 107.8682. The number of electrons in each of Silver's shells is 2, 8, 18, 18, 1 and its electron configuration is [Kr]4d10 5s1. 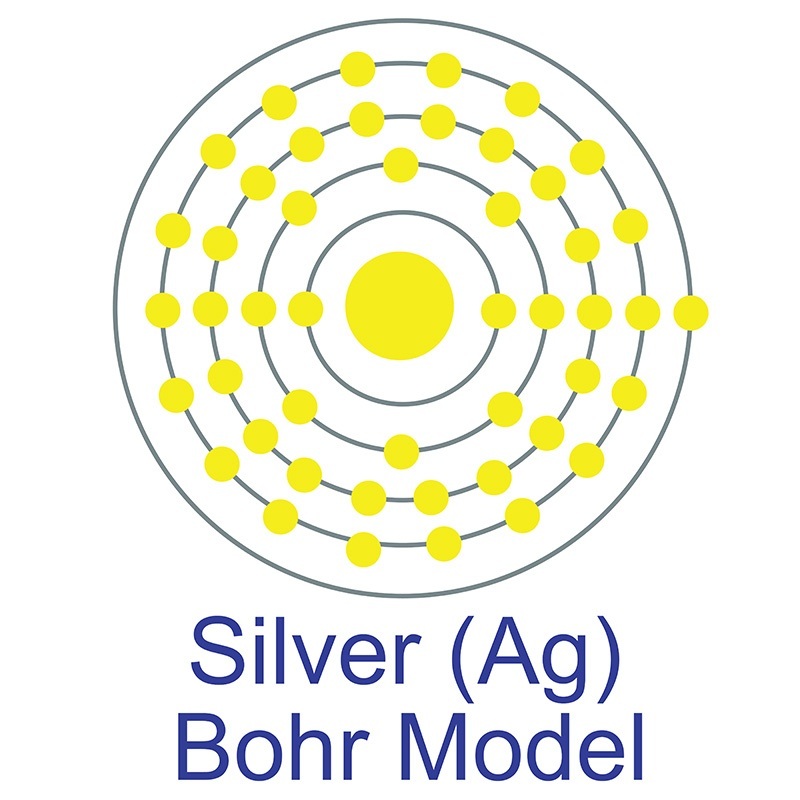 The silver atom has a radius of 144 pm and a Van der Waals radius of 203 pm. Silver was first discovered by Early Man prior to 5000 BC. In its elemental form, silver has a brilliant white metallic luster. It is a little harder than gold and is very ductile and malleable, being exceeded only by gold and perhaps palladium. Pure silver has the highest electrical and thermal conductivity of all metals and possesses the lowest contact resistance. It is stable in pure air and water, but tarnishes when exposed to ozone, hydrogen sulfide, or air containing sulfur. It is found in copper, copper-nickel, lead, and lead-zinc ores, among others. Silver was named after the Anglo-Saxon word "seolfor" or "siolfur," meaning 'silver'. See more Tin products. 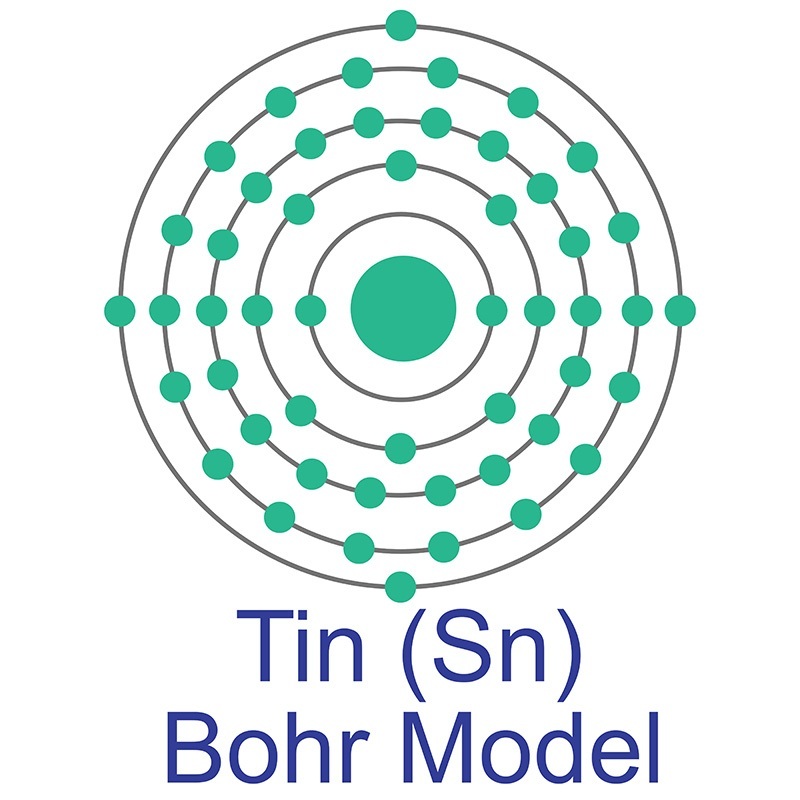 Tin (atomic symbol: Sn, atomic number: 50) is a Block P, Group 14, Period 5 element with an atomic weight of 118.710. The number of electrons in each of tin's shells is 2, 8, 18, 18, 4 and its electron configuration is [Kr] 4d10 5s2 5p2. The tin atom has a radius of 140.5 pm and a Van der Waals radius of 217 pm.In its elemental form, tin has a silvery-gray metallic appearance. It is malleable, ductile and highly crystalline. Tin has nine stable isotopes and 18 unstable isotopes. Under 3.72 degrees Kelvin, Tin becomes a superconductor. Applications for tin include soldering, plating, and such alloys as pewter. The first uses of tin can be dated to the Bronze Age around 3000 BC in which tin and copper were combined to make the alloy bronze. The origin of the word tin comes from the Latin word Stannum which translates to the Anglo-Saxon word tin. For more information on tin, including properties, safety data, research, and American Elements' catalog of tin products, visit the Tin element page. Integrated Anode Electrode Composited Cu-Sn Alloy and Separator for Microscale Lithium Ion Batteries. Platinum-Copper Bimetallic Alloy Nanoflowers as Efficient Electrocatalyst for the Methanol Oxidation Reaction. Fabrication of palladium-copper nanoparticles with controllable size and chemical composition. Effect of Cu/Fe/Co substitution on static and dynamic magnetic properties of Ni-Mn-Sn alloy thin films. Comparison of Stabilizer Effects on the Size, Dispersion, and Catalytic Property of Pt, PtCu, and PtRu Nanoparticles. Deposition Time Dependent Properties of Copper Tin Telluride (Cu₂SnTe₃) Nanoparticles for Solar Absorber Applications. Engineered optical properties of silver-aluminum alloy nanoparticles embedded in SiON matrix for maximizing light confinement in plasmonic silicon solar cells. Antitumor Activity of Alloy and Core-Shell-Type Bimetallic AgAu Nanoparticles. Enlarge the biologic coating-induced absorbance enhancement of Au-Ag bimetallic nanoshells by tuning the metal composition.